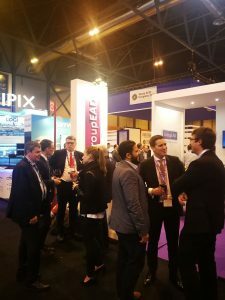 GroupEAD will attend the World ATM Congress in Madrid from March 12th to 14th, 2019. Come and visit us at booth 590 to see how we can support you in your AIM business. We will give you some insights to our wide portfolio of AIM Operations and Data Solutions, AIM Training and AIM Consultancy. During the World ATM we look forward to seeing you at our presentation “From Paper to digital Data – Revolutionising Aeronautical Information Management” at the Aireon Stage on Tuesday March 12th at 17:40. We will be discussing best practice examples of how to solve “Roadmap” issues. Our presenters are Mr. Henry Cáceres, EAD Supervisor and Mr. Oscar Centeno, Training Deputy Officer. We would be happy to see you at the Aireon Stage.